Our philosophy of diligence and a good product have proven successful. 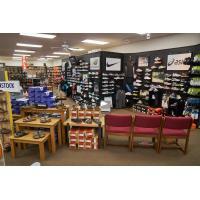 We sell family, name-branded footwear and accessories while providing professional service. In the summer of 1911, a 9 foot wide front space became available for rent next to Shenandoah’s Security State Bank, and Mr. Brown started his first shoe store with $1700 in operating capital. Mr. Brown decided that if a fellow could start a business in a 4-foot wide stairway and do well, then he could open a store in a 9-foot wide front and achieve success. He ordered 1,100 empty boxes, and had his label put on them to give his customers the appearance of a greater stock of shoes. He had an agreement with a manufacturer, that he would wire his re-orders for the week on Saturday nights, and he would receive his order by Tuesday morning, so that he could replenish his scantily stocked shoe store! Mr. Brown worked diligently at the shoe store during the day and at night he would pack up a stock of shoes and call door to door to the country folks around the area. Mr. Brown’s hard work paid off, and by the first of February in 1913, Mr. Brown’s net worth was now $6000. When his three-year lease expired next to Security State Bank, he moved his store to 611 West Sheridan Avenue, where the Shenandoah store is still located today. 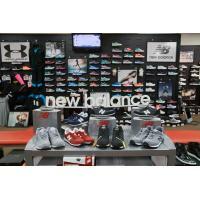 Mr. Brown’s shoe business grew by sharing his own hard work and capital. He believed that any person should have an opportunity to own and operate their own business! When he recognized that someone deserved an opportunity, he would make them a partner, and loan the necessary money to get started in the retail shoe business. Mr. Brown’s business philosophies were a great success, and at the time of his death in 1958, the chain of Brown’s Shoe Fit Company stores had grown to 37 stores in 4 states, with much of the company owned by the people he believed in! 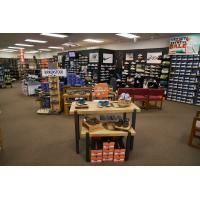 Today, Brown’s Shoe Fit Company is owned by Brown’s management and has over 80 stores in 12 mid-western states. 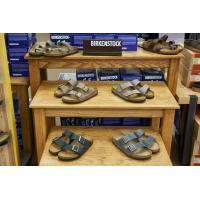 These are modern stores that feature the very finest in quality, comfortable footwear. 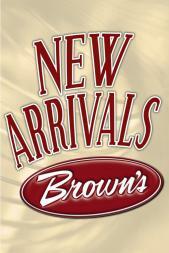 Today’s management operates the company with the same philosophies and principles that Mr. Brown initiated decades ago.